A revival of the original … used to run approximately between 1984-1990. 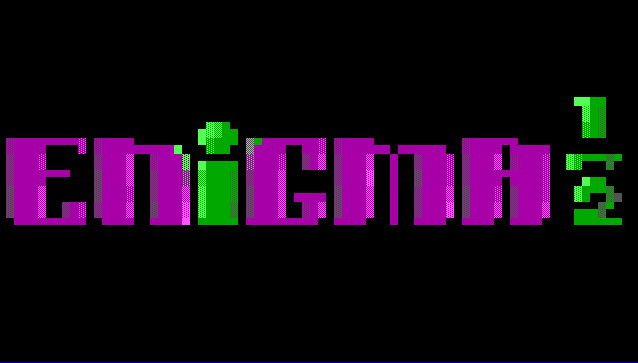 Recently reopened, with plans to have Linked Doors, and very large collection of CD shareware files, Abandonware OSes and utils/games, WWIVnet and more coming soon! Old school file base, LOTS of DOOM/Duke/Quake/more files, multiple shareware CDROMs online. FidoNet, FSXNet, WhisperNet Echomail and DOVE-Net QWK mail. Doorgames for fun. New callers welcome. Resurrection of my PCBoard BBS, Now fully online and still receiving tweaks and further developments. All FidoNet echoes are available plus a number of games and connection to BBS Links and other Game Servers. Also user can telnet to other BBSes. PBNET BBS – an implementation of Waffle. It offers basic file transfers via Kermit, Google access (via Lynx), UUCP and Internet E-mail. PBSync Prison Board, a free and hobbyist bbs. FidoNet and DoveNet message areas. Games available are via BBSLinks, DoorParty and BCRGame Server. A few favorite card games are available. More to come. Old Amiga Scene BBS from the 90’s Now restored from a backup and running emulated in the cloud. FidoNet New England Regional Coordinator. Micronet Assistant Zone Coordinator. Full FidoNet backbone echomail feed and FileGate file feed. Registered doors running under DOSEMU. Play Legend of the Red Dragon, talk about games and programming (and programming games). Also a testbed for homebrew Mystic programs. Tons of Door games, BBSLink Games and files! New Door games added daily swing on by and join the Cove! Supports both the Amiga and C64 Operating Systems. Home of the IFDC FileGate distribution, the Programmers Distribution Network, UtilNet distributions, and more. Telnet nodes, www nodes and dialup, free access. Online since 1989. 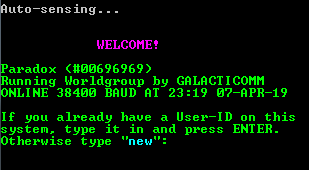 Fun and Free BBS with messaging, including FIDONet, Dovenet and others. Many, many registered games to play. BRE League game. Dialup BBS also and they can use telnet feture of system to telnet to other systems. Also assigned an Internet E-mail address for free. ProLine BBS, running on a custom version of the KEGS Apple IIgs emulator, running on Amazon EC2 Linux Server. Features a contemporary usenet feed, 30-year historical usenet feed, and selected RSS feeds. Login as “guest”, “cowsay”, or “adduser”.